I love the atmosphere of Christmas morning, you can nearly feel the excitement in the air! What's your favourite Christmas tree decoration? I have a little ballerina dancing that hangs on the tree and I'm not sure why but I just think it's the cutest! When should the decorations go up? Honestly I love Christmas so much I think they should go up as soon as possible! I love Christmas day, it's so exciting and has such a happy atmosphere. I get to antsy on Christmas eve because I'm so looking forward to Christmas! I love real trees because they smell like Christmas! I guess it's hard for me to be fair because I've always had a fake tree but I'll be sticking with my real one for now! So there you have it! 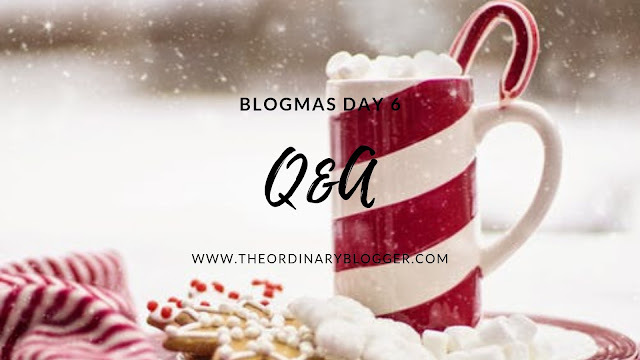 Those are my answers for the Christmas Q&A, what did you think? As always thank you so so so so so so much for reading!